A complete and illustrated history of the development of Rickenbacker instruments from 1931 to the present, complete with information and full-color photos of the many Rickenbacker artists. This is a second edition of a publication originally published to coincide with an exhibition of the same name at the Massachusetts Institute of Technology Museum. Includes information on the banjo's enduring popularity, the banjo makers of Boston, instruments from the exhibition, a glossary and bibliography of the banjo, and more. This compelling edition provides fascinating information on and arrangements of more than 90 favorite traditional hymns and gospel songs. 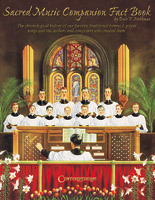 The songs are arranged chronologically (starting with "Doxology" in 1694 and going through "How Great Thou Art" in 1948) and for each, the book provides a melody line/lyrics/chord song arrangement as well as background notes on the song, its historical setting, the authors and composers who wrote them, and more. 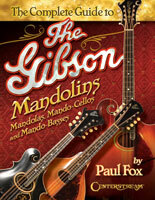 A definitive source for information about the company that defined the modern mandolin. From the very beginning when Orville H. Gibson built the first carve�top instruments in the 19th Century to the instruments still being made by Gibson today, this book is a complete guide to the vast array of instruments the company produced in the mandolin family, including historical documentation, images, illustrations, detailed descriptions, photos and rare examples of existing instruments for sources around the world. 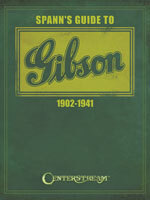 This book also reveals some of the secrets behind many of the proprietary construction techniques bused by Gibson throughout the decades.